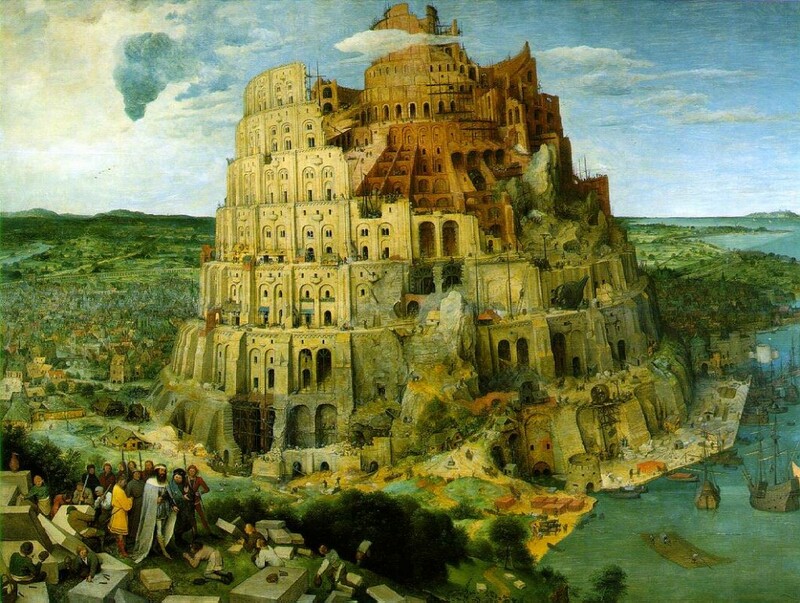 One of my favorite paintings is the one above, a depiction of the biblical Tower of Babel painted by Pieter Brueghel the Elder, the Flemish painter around 1563. 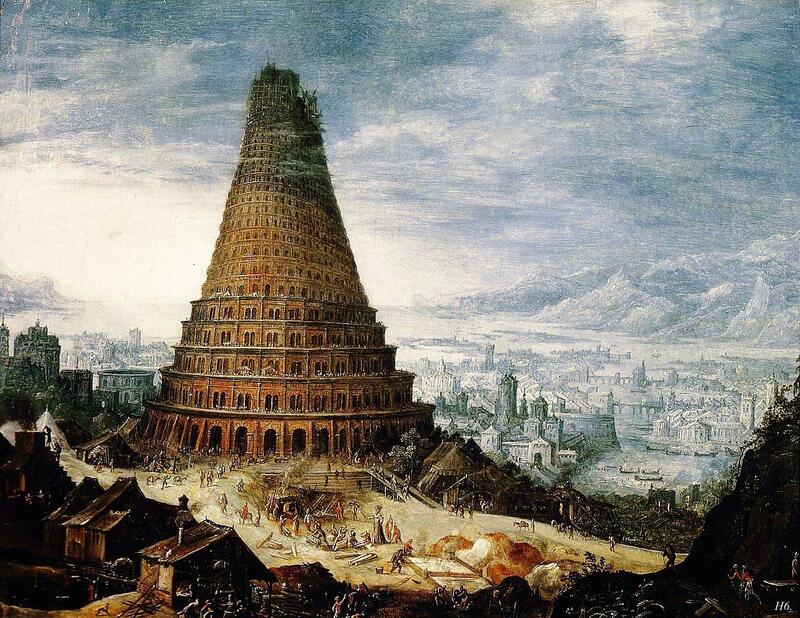 It is probably the image that jumps to mind for many folks when they think about that tower. It is an iconic image. 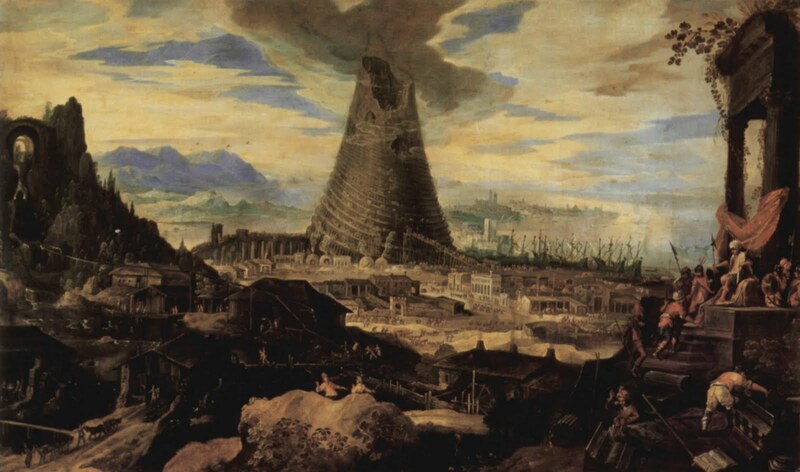 But it also spurred many generations of other artists to render their own vision of how they thought the tower may have appeared. 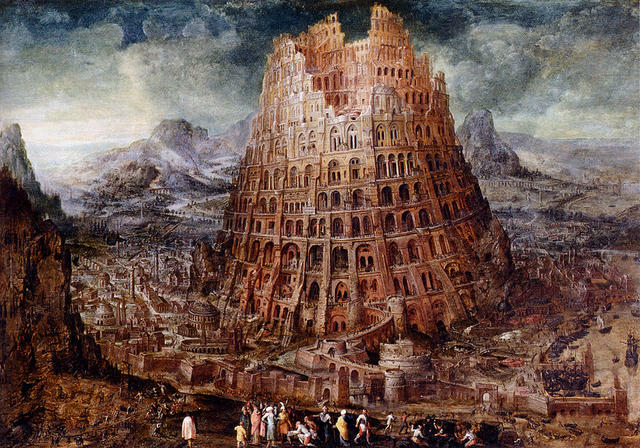 I am fascinated by the hundreds of different, yet in many ways similar, ways in which the Tower of Babel has been depicted and have scanned over numerous iterations. 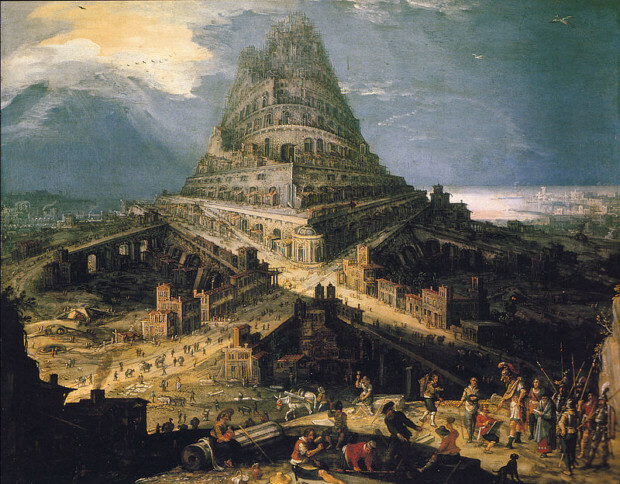 All are captivating to me, filled with all sorts of compositional possibilities that always seem to have me on the verge of painting my own tower. I may have already attempted and haven’t even realized it, like the characters in Close Encounters of the Third Kind who are compelled to by their visions of Devil’s Tower to recreate that landmark in whatever is at hand, such as the mashed potatoes in the case of the Richard Dreyfuss character. 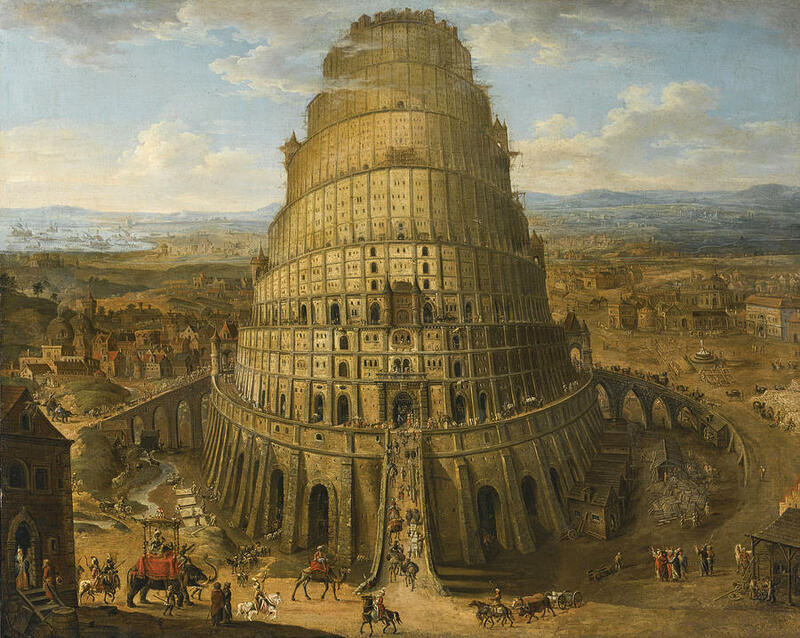 Here are just a handful of other paintings of the Tower of Babel along with a short video I came across that contains a few more. 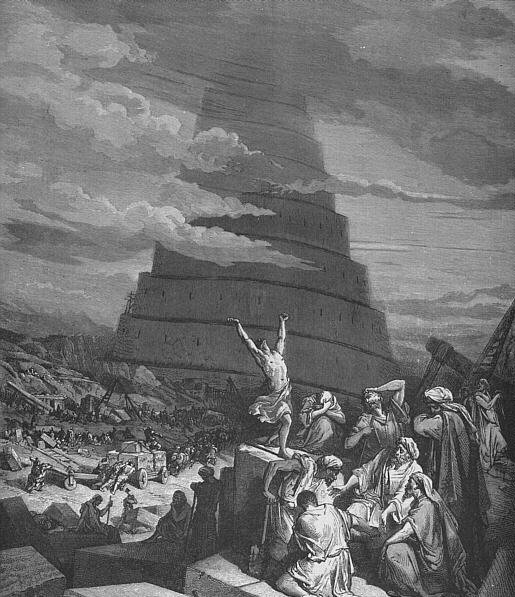 I wonder if I’m the only one who’s thought of Facebook as a contemporary Tower of Babel (and, by extension, most of social media). I suspect not. It’s an amusing conceit, in any event. That’s an interesting thought and you may well be right. It certainly seems to be approaching that point where we are at a confusion of tongues. These are fascinating paintings, and you’re right, it’s that first one that I think I’ve always seen as an illustration in history books. 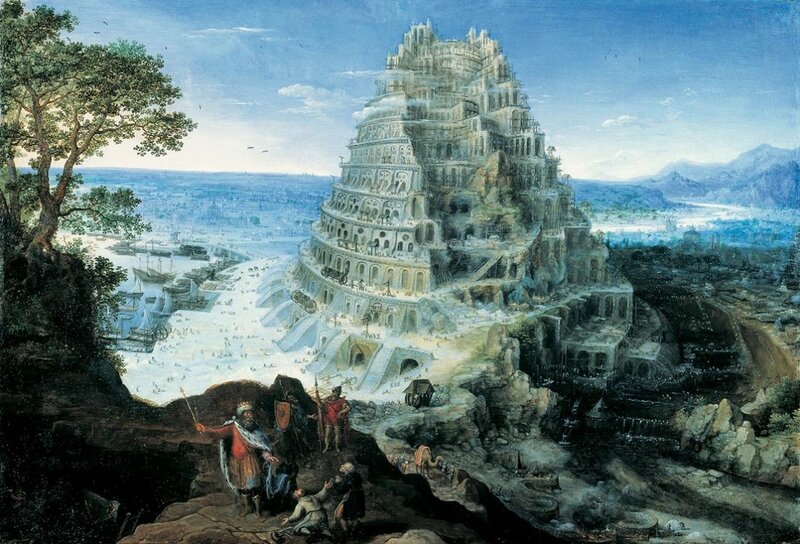 Future artists may have to lop off a few stories, as thousands of languages become extinct. The Onondaga are making an effort to teach their kids, I don’t know if there’s a similar effort among the Seneca, closer to you on the Salamanca reservation.